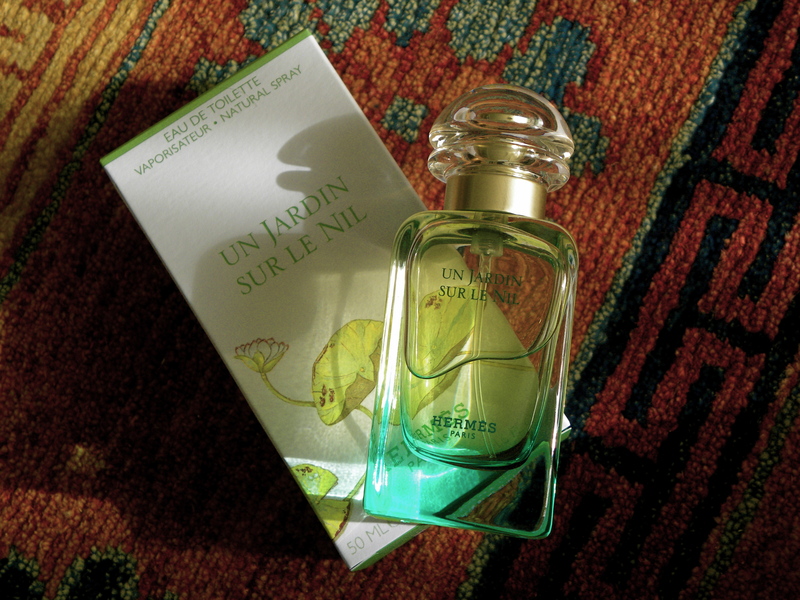 Now that the temperatures are rising, perfume holds an even more important role in our daily routines. 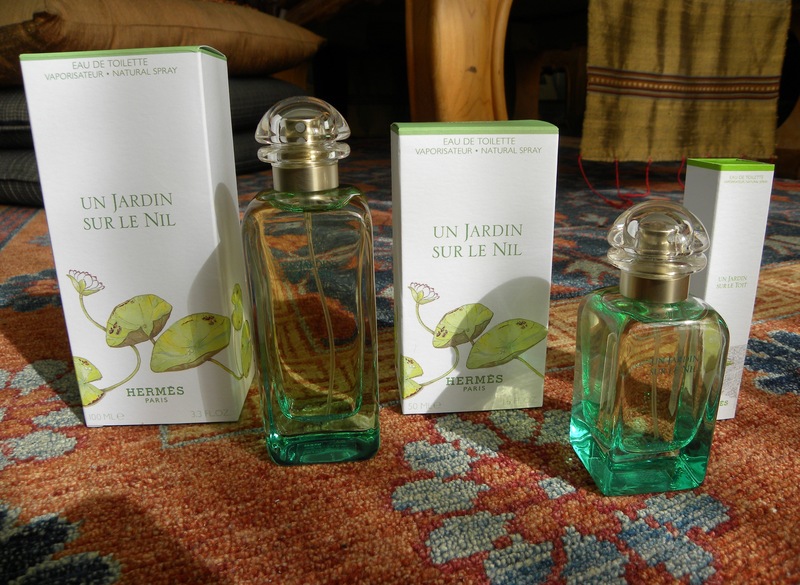 Heavier, thicker scents should be replaced with something light and refreshing such as my latest scent obsession eau de toilette Un Jardin Sur Le Nil by Hermès. One, two or ten clicks and I don’t seem to tire, the smell somehow intoxicates me with divine, exotic dreams of foreign travels to the likes of Egypt or Morocco as if out of an Agatha Christie Poirot episode from the 1989 tv-series with David Suchet. In those dreams I find myself dressed in elegant beige linen garments, wearing a panama hat and fanning myself with a rare ostrich feather fan, or white peacock which will also do. The air is dry and warm, I’m lounging on a divan alternatively, out on an adventure with my beautiful pet camel snapping photographs of hidden ancient monuments or rummaging through a local market in search of treasures. Ah, the alluring power of scent!